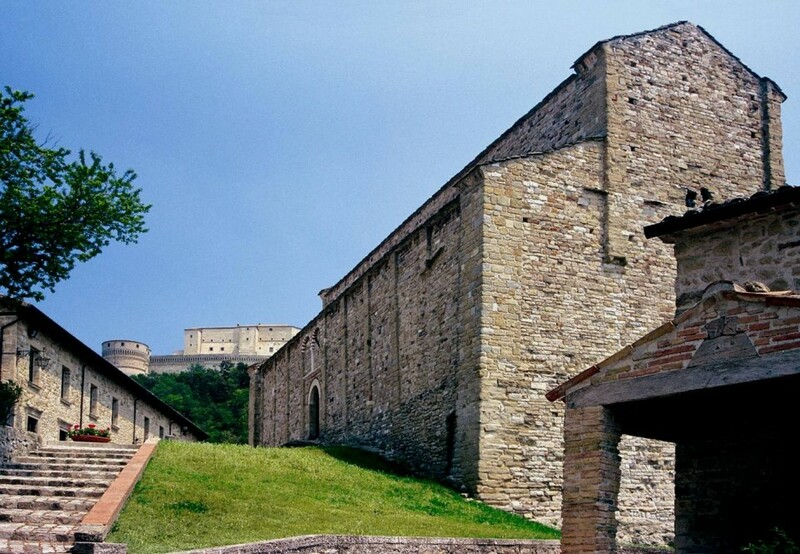 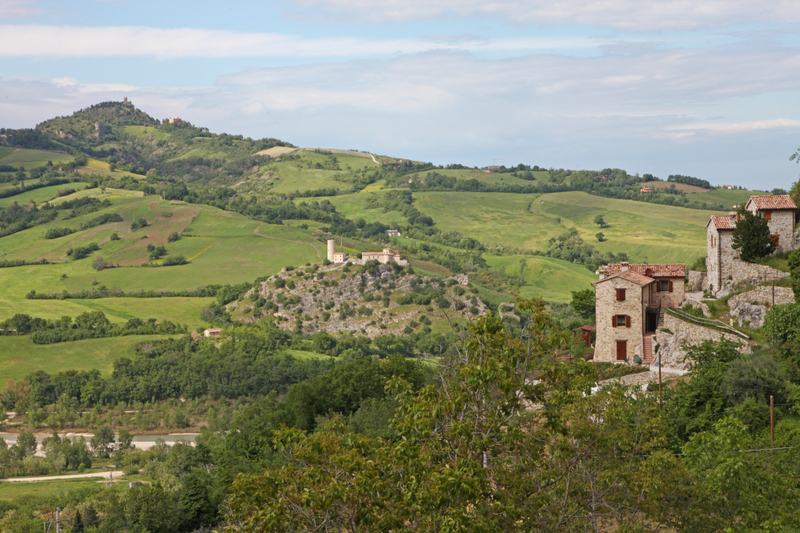 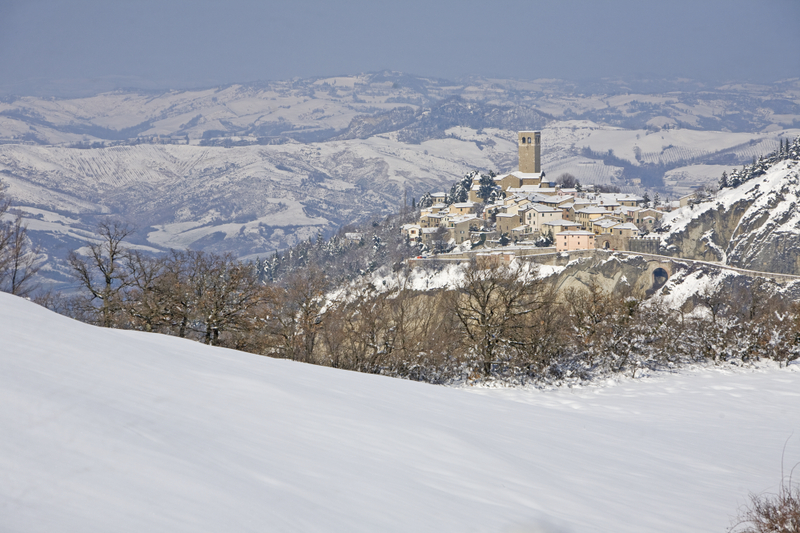 This is the oldest sacred monument in the Montefeltro region. 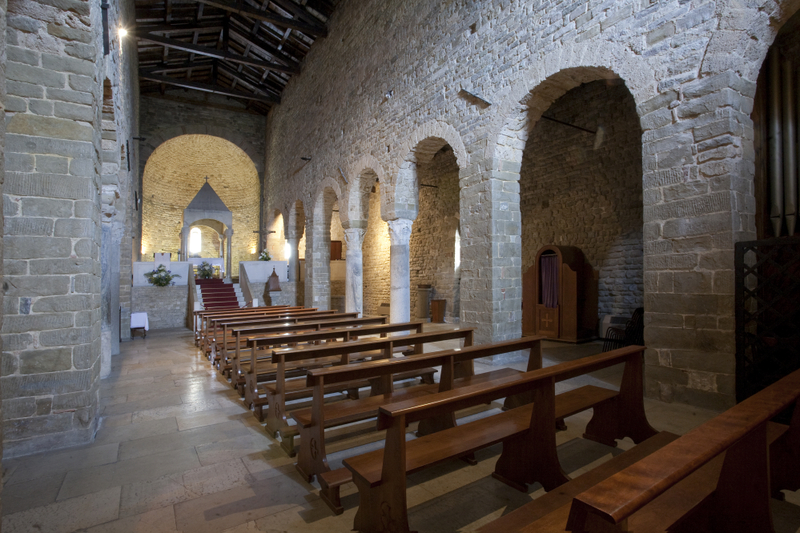 According to tradition, the church was built over the cell where the fourth-century St Leo was wont to retire in order to pray. 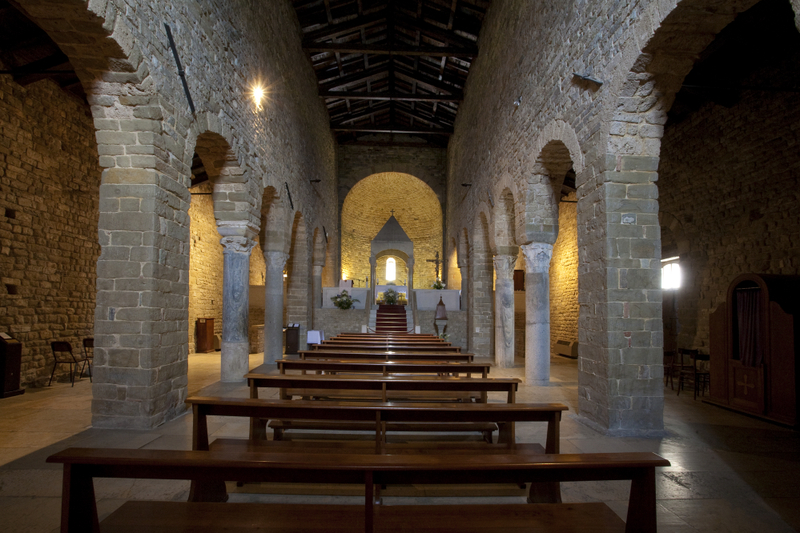 A basilica-plan church, it has three aisles and a crypt, and the presbytery is raised above the level of the aisles. 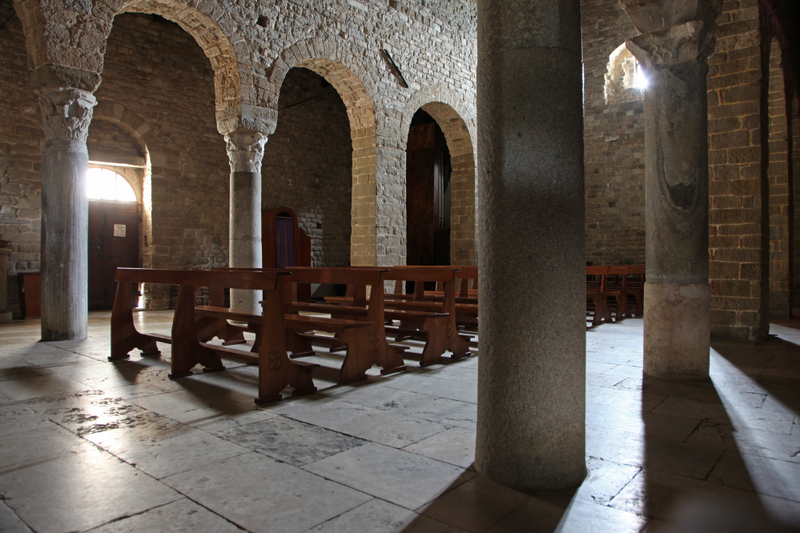 A fine ninth-century ciborium stands in the presbytery. 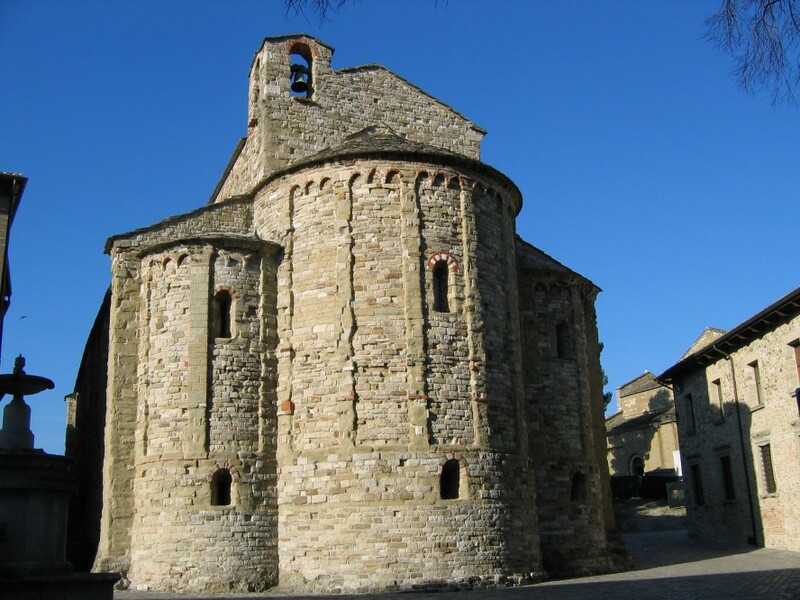 Like the nearby Cathedral, the church does not have a door in the façade because of the uneven nature of the rocky ground on which it stands; instead there are two side doors. 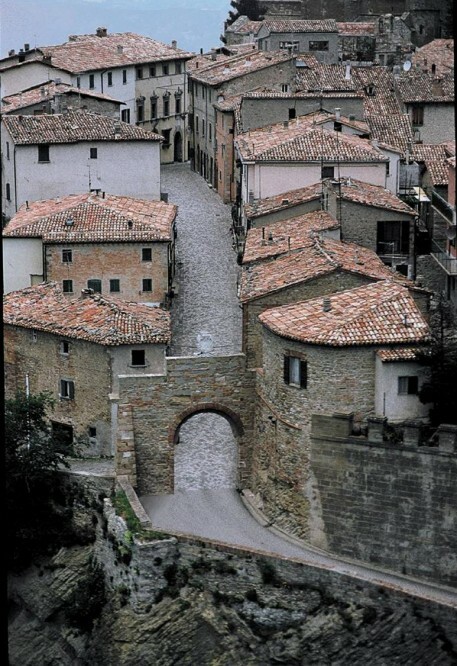 Its present-day appearance was determined by rebuilding work in the eleventh century.